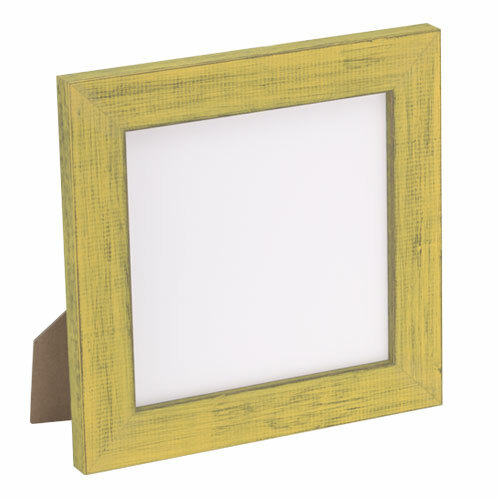 Brighten up your space with this cheery yellow tabletop picture frame. 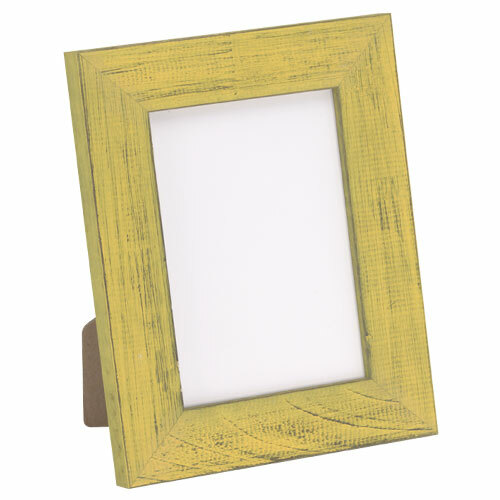 It has a simple, squared profile with a distressed finish for a warm, friendly style. 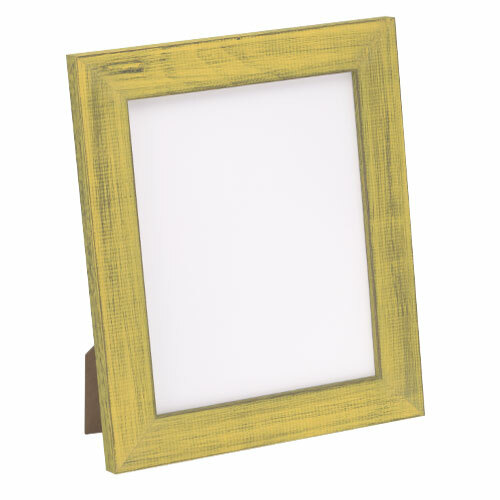 It’s a charming photo frame, kid’s art frame or Instagram frame. 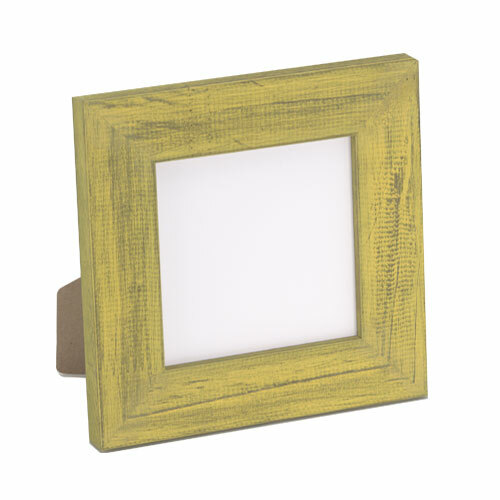 Handmade by our Artisans from natural wood grown in sustainably managed forests, it’s an eco-friendly choice. Arrives at your door ready to use with easel back and glazing. 5" x 5"5" x 7"8" x 8"8" x 10"